Use the Pebble Watch to auto text multiple family members in an emergency situation (example: Your elderly parent has a bad fall and cannot get to their smartphone nearby). 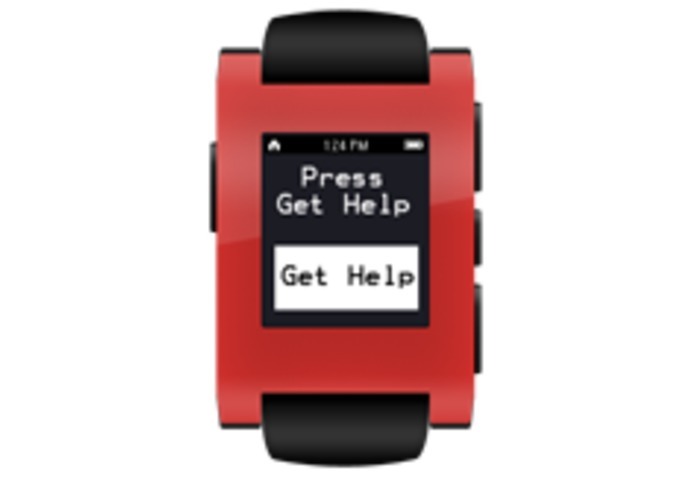 The Pebble Software is simple to use by all ages and by those with disabilities. The advantage of this system compared to other medical alert devices: there is no monthly fee, no expensive hardware, easy to set up, this system is GPS enabled and can work outside of the home. This Pebble Watch App will connect with the 911 Help SMS App for the iPhone. Pebble Enabled 911 Help SMS Android coming soon!